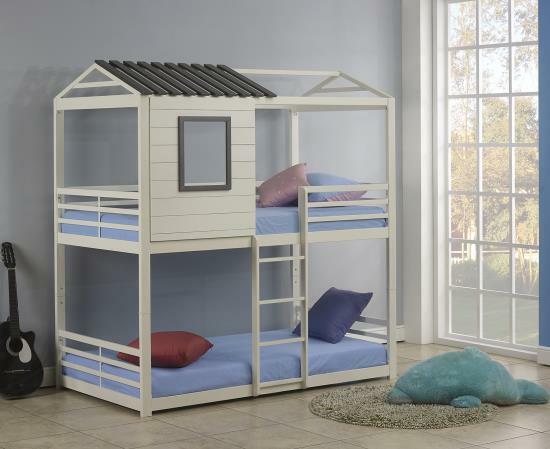 Kids' Bedrooms are smaller, so Youth Furniture Sets use mostly Twin & Full Size Beds, with space-saving options like Bunk Beds, Daybeds, & more! 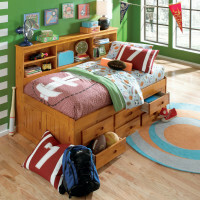 Youth Bedroom Collections typically include a choice of twin or full bed, nightstand, dresser, mirror, & chest of drawers. 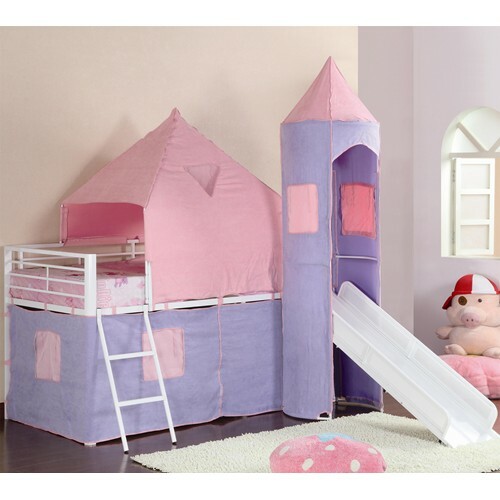 These collections can be purchased as 5pc sets or sold as separate items. 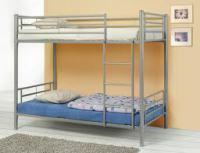 Bunk Beds & Loft Beds conserve space by offering a twin (or occasionally, a full) size bed on top, with your choice of a twin or full size bed (bunk beds), or a desk or play area (loft beds) on the bottom. 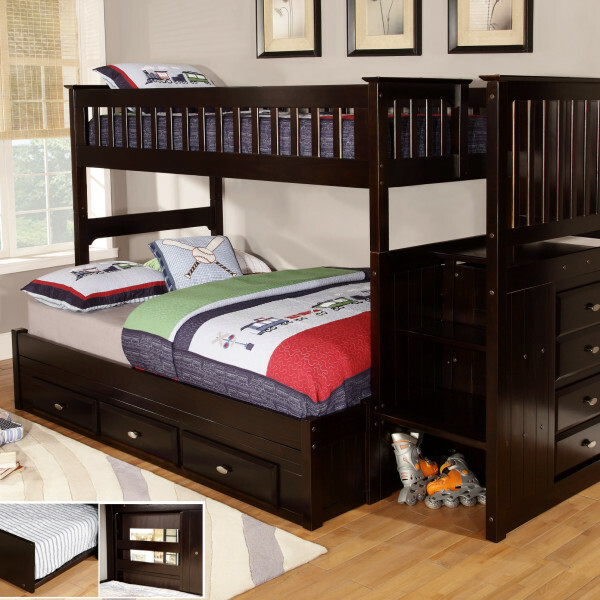 Many additional options are also available, including staircases with storage, trundle beds, and MORE! 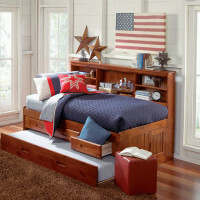 Captain's & Mate's Beds offer the same basic function: a full or twin platform bed with storage drawers and (often) a trundle bed below the top bed. 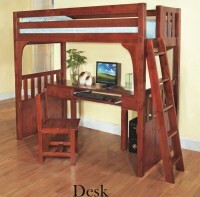 The key difference between the two is how many layers of storage are available. 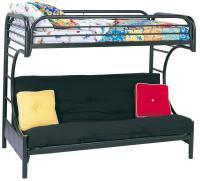 Captain's Beds have two rows of drawers, Mate's Beds have one. 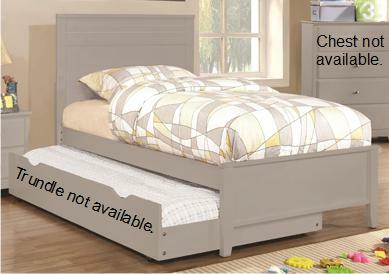 Daybeds are typically twin beds over twin trundle beds, however some styles offer full size beds on top and/or storage drawers below. 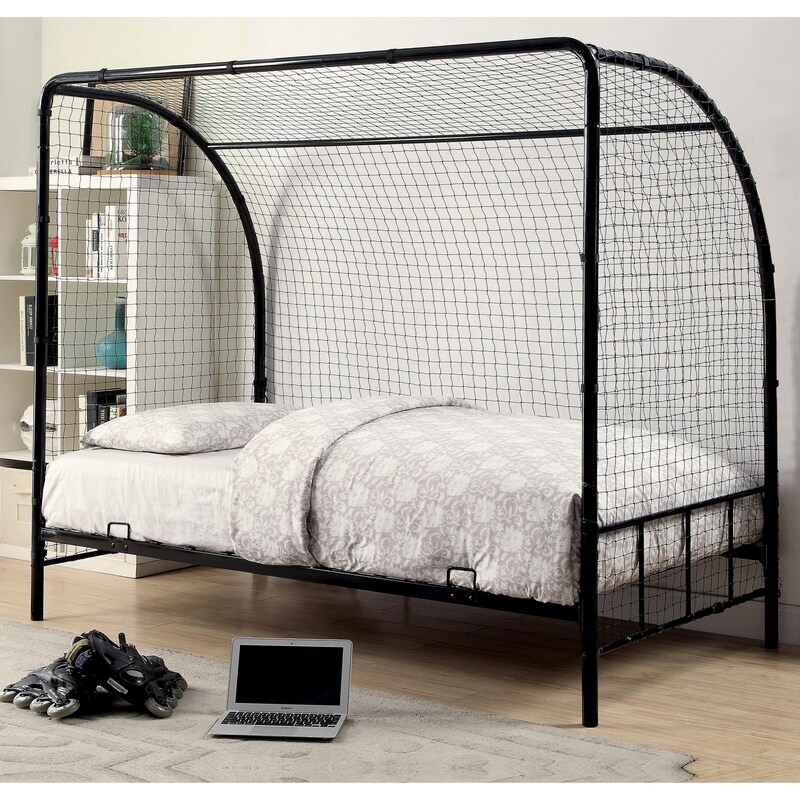 The feature that makes them "daybeds" is that they have a headboard that spans the length of the mattress, along with traditional headboard & foot board panels at each end of the bed. 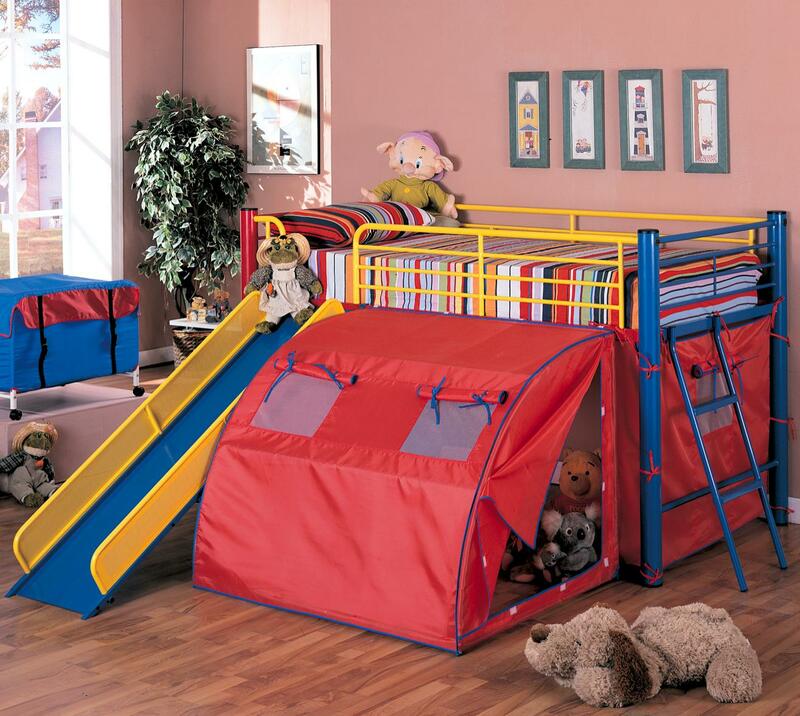 Last but not least, I've added a group for "fun" beds for younger children. 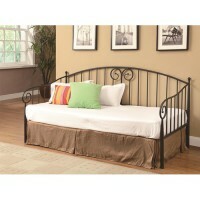 While these beds are not part of a bedroom collection, we can easily help you match the bed of your choice to a set. 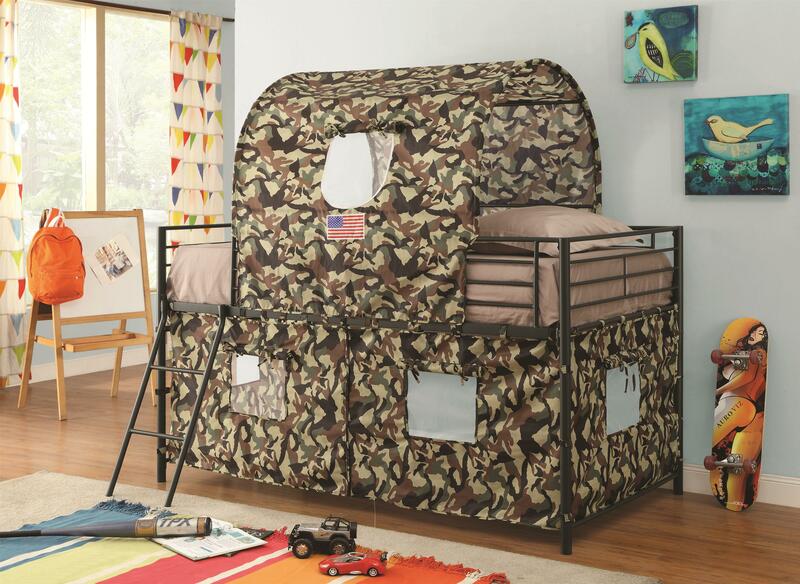 If you have a little one who never likes going to bed, we can help fix that!